Great burgundy is becoming impossibly expensive and elusive. F&W’s Ray Isle tells how to outsmart the collectors and find bottles that deliver pleasure instead of pain. Sometimes, when I think about Burgundy and my love for this wonderful and frustrating wine, I’m tempted to do one of those pro and con charts—the kind that high school students in difficult relationships sometimes sketch out in notebooks while weeping. Pro: There are still some good Burgundy values out there. Con: The Burgundies I love cost a fortune these days. Pro: When Burgundy is good, it’s so good. Con: When Burgundy is bad, it’s just depressing. Burgundy is like that—it has the mysterious ability to provoke an emotional response. Many great wines make you think, taste, enjoy; Burgundy also makes you feel. At its best, it has a seductive quality—its aromas and flavors change in the glass more fluidly than other wines’. It also tells you secrets about itself: In Burgundy, Pinot Noir reflects the place it comes from more transparently than it does anywhere else; Chardonnay, the grape of white Burgundy, does the same. Unfortunately, Burgundy also loves to betray you. This is the wine that whispers promises to you in bed and then moves to L.A. the next day with a model (male, female—take your pick). 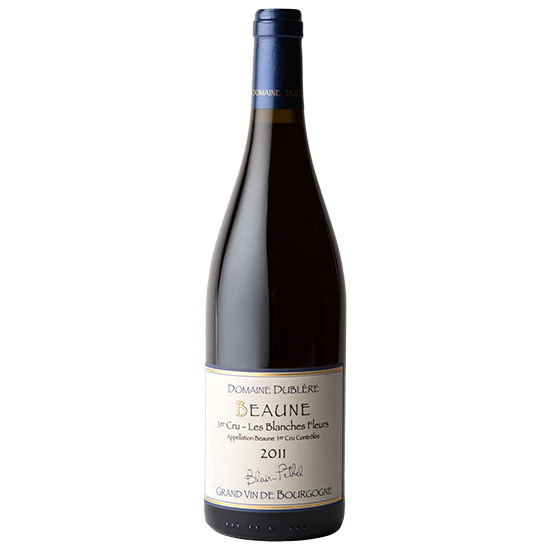 Even simple Burgundy can be delightful, full of crisp red fruit, light yet intensely flavorful all at once. But I’ve opened more bottles of Burgundy that I was deeply looking forward to, only to have them be drab, or weedy, or just not worth what I paid for them, than I have of any other wine. And yet, I keep coming back. Lately, Burgundy lovers like me have been experiencing a particularly tough time, as prices keep rising while availability keeps thinning. One culprit is the weather. Burgundy, located in north-central France, has the definition of a capricious climate. For every year with ideal harvest conditions, there seem to be two or three plagued by frost, hail or torrential rain. That problem is acute with the region’s most legendary wines, which have become record-breakingly expensive. Last October, a collection of older vintages of Domaine de la Romanée-Conti sold at an auction in Hong Kong for roughly $14,000 a bottle—that’s the equivalent of $2,800 per glass. Six magnums of Henri Jayer 1990 Cros-Parantoux sold at the same auction for almost $25,000 each. A magnum is the same as two regular bottles, so I suppose you could consider that a kind of demented two-for-one special, but still. Finding those wines can be tough as well. I love Coche-Dury’s gorgeous Meursaults, but when I asked David Keck, the wine director of Camerata wine bar in Houston, what would happen if he asked the importer for some Coche, he laughed and said, “Well, the response—if I was lucky—would be, ‘Outstanding! We’d love to sell you a couple of bottles of Coche-Dury. But we’ll need you to buy a pallet of this other wine, too.’ ” A pallet equals 56 cases; in other words, if Keck won’t also purchase a massive amount of less expensive wine, he can kiss the Coche good-bye. This brings up the question: Amid the hail and the rot and the tiny amounts of wine, the seemingly ever-diminishing numbers of bottles to be had and the spiraling prices, what’s a Burgundy lover to do? Finally, in one of the kinks that makes Burgundy so perverse and so fascinating, while recent vintages were both tiny and troubled, they were also—particularly 2010 and 2012—superb. Finding the specific bottle or sleeper value you want may take some doing, but as they say: Good relationships always require a little work.